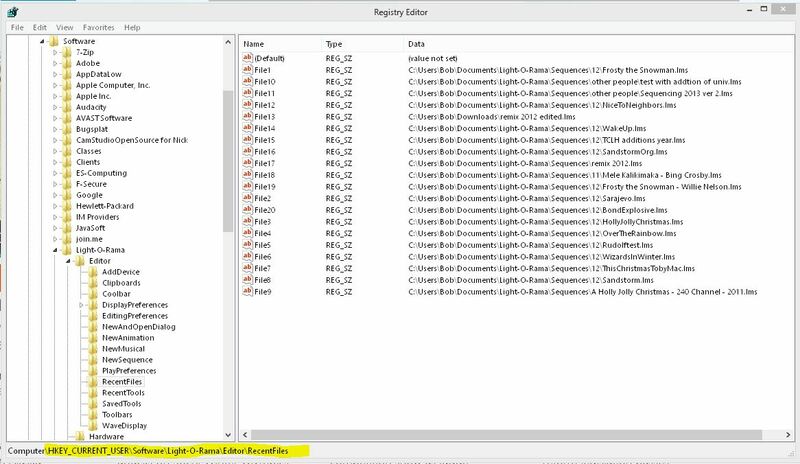 Is there a way to clear the recent file list in S3? I have moved files around and have everything goofed up and need to straighten it out, but those darned links to recent files bug me. Thanks as always for any input. Not that I know of, I never use that tab. Caniac is right. There is no way to clear it out. This is a hack... the easy way is just to open 20 files in the right folder. Delete the ones you dont want. Its likely that numbers higher than the lowest one you delete wont appear in SE recent files window. I suggest deleting all of them if SE complains when showing the recent window. WARNING: You can completely corrupt your computer if you delete or move the wrong keys.